Shollenberger Park is located on the south side of Petaluma. 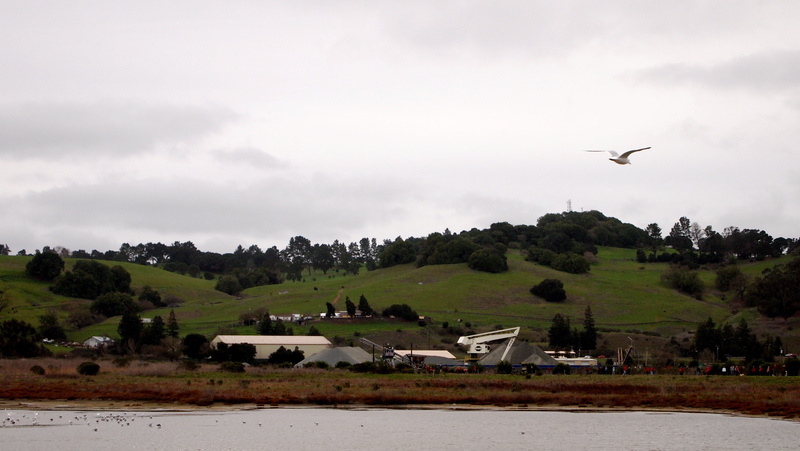 It also sits on the east side of the Petaluma River. This wonderful park is home to a huge variety of birds, many of which do not have an equally safe environment close by. The habitat created by the wetlands and the surrounding park is ideal for both birds and bird watchers alike, while also creating a beautiful sanctuary for walkers, runners, families and their canine companions. My husband and I have brought Lily and Cousteau here several times. Though I am new to Petaluma, I have quickly become aware of the dedication to preserving local gems such as Shollenberger Park. Many of them fall under siege from developers and changing times, but the support from the community to protect these areas is quite amazing. Shollenberger in particular is at risk of having a new neighbor, an asphalt plant, which would be located directly across the river. Environmentalists are concerned that this addition would compromise the integrity of the wetlands and surrounding habitats, as well as destroying valuable resources for local wildlife. 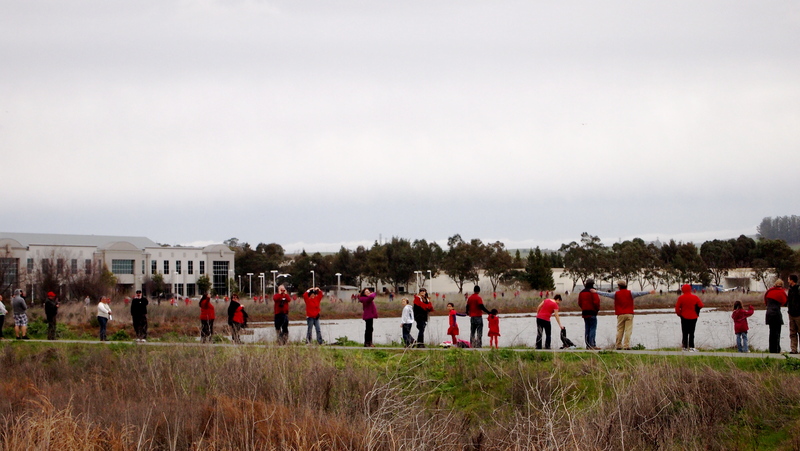 As a demonstration of their commitment to protecting the park, over 1300 people gathered at Shollenberger on Sunday for “Hands Around Shollenberger.” Supporters wore red, as a Valentine’s Day dedication to the park, and stood hand to hand all the way around the two-mile trail. It was an amazing site to see. Neither the cold nor the wind could keep these hearty souls away. At 3:00pm, a plane flew overhead to take an aerial photograph of the event. I am excited to see the results. It truly was inspiring to see the dedication from local citizens to preserving Shollenberger Park. 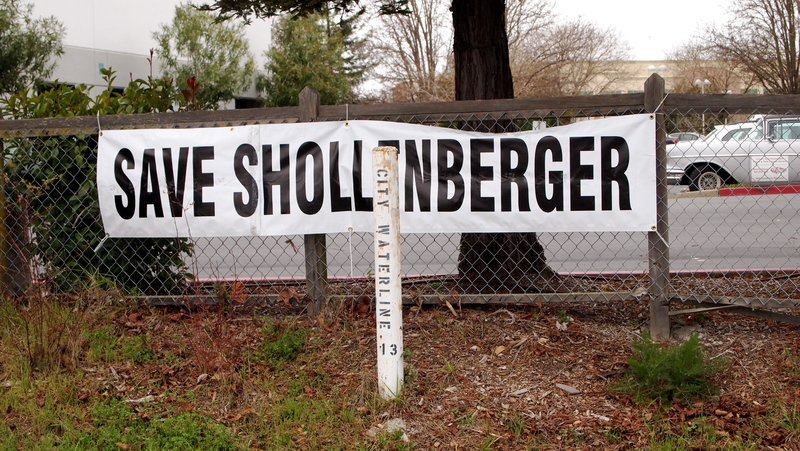 If you are interested in learning more about the effort to protect Shollenberger, I recommend visiting the Save Shollenberger Website here. 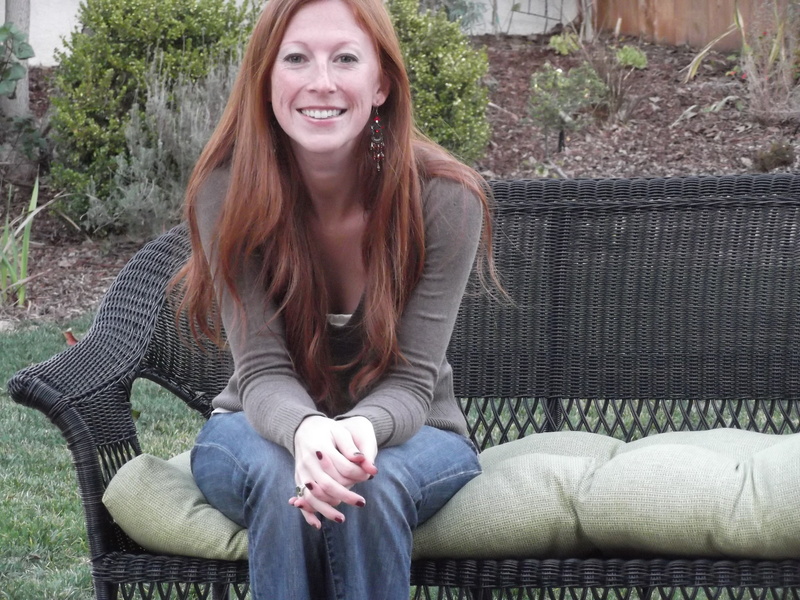 This entry was posted in Community, Environment and tagged Hands Around Shollenberger, Meg McCollister, Petaluma, Shollenberger Park, wetlands. Bookmark the permalink.